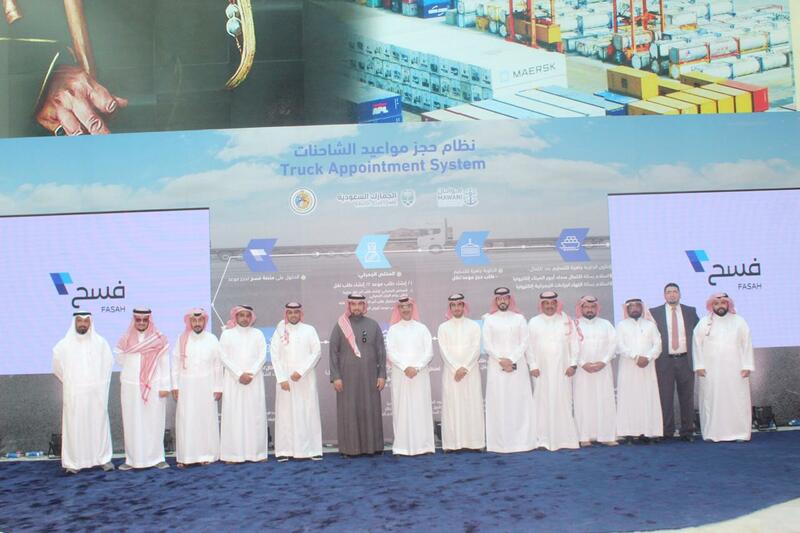 The Saudi Information Exchange Company (Tabadul) inaugurated the (Truck Appointment System). 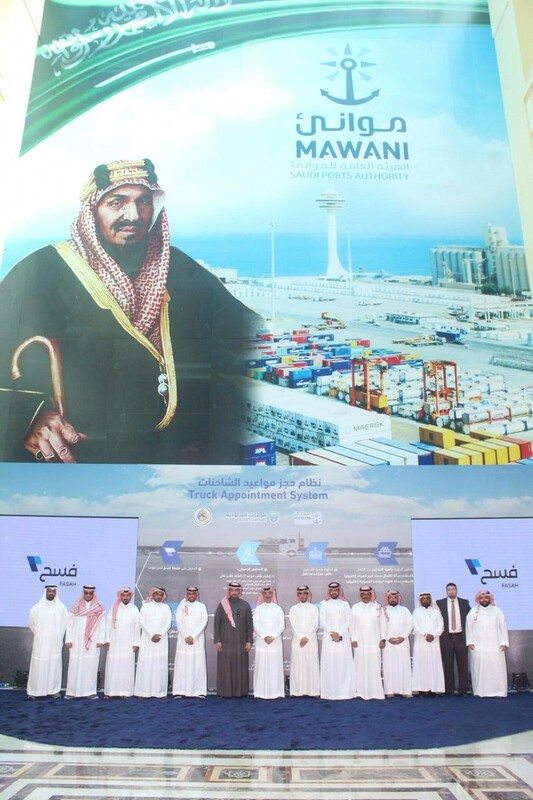 The event was attended by H.E Minister of Transport Dr. Nabeel Mohamed Al-Amudi, President of Saudi Port Authority, H.E. Eng. Saad AbdulAziz AlKhalb, and Saudi Customs Governor and Chairman of the Board of Directors of Tabadul, Mr. Ahmed AbdulAziz AlHakbani. As mentioned by Mr. AbdulAziz AbdulWahab Al Shamsi during the inauguration ceremony, the new service, which is part of the services offered by FASAH platform, comes within the digital transformation framework and Saudi Vision 2030. To demonstrate its importance, Al Shamsi pointed out that the time a truck takes for arrival and departure, after it has been loaded with a container, is estimated at 3 hours (180 minutes) and that after the implementation of the new unified system for truck management, it now reached approximately 17 minutes, which is over a 1000% improvement. The CEO of Tabadul, a company specialized in providing innovative solutions, added, "The Truck Appointment System will facilitate the export and import procedures at the Kingdom level, the development of Saudi trade, and the growth of import and export on a larger scale. He further added that "the implementation of the system linked to the ports will contribute to achieve a 24-hour-7-days a week efficiency for trucks’ arrival and departure and reduce the waiting time at port entrances for greater flow in the import and export sector". According to Al Shamsi, the new system will increase the level of Saudi Ports efficiency and will ease the flow of goods to and from the sea port. Moreover, it will improve the trucks movement, their arrival and departure in a smooth and safe manner. Also, it will contribute to improving productivity for port operators, in line with the increase in goods handling and growing competitiveness, and eliminating chaotic traffic pile-ups at cities’ entrances. Furthermore, it will help in transforming paperwork from manual to electronic. Al Shamsi further mentioned, FASAH platform will provide an electronic access service to the port for customers through the unified system which is linked to the Ministry of Transport, the Public Transport Authority, the Saudi Arabian Border Guards, and the port operators, all of which will be registered in the system. This will allow the carrier to be pre-registered with the company, whether it is a transport company or an individual, after coordinating an appointment with the operators at the port. It is worth mentioning The Saudi Information Exchange Company (Tabadul) started in the trade development since 2005, and launched its latest operating the system (FASAH) platform in order to facilitate import and export procedures at the Kingdom level within the logistics supply chain.